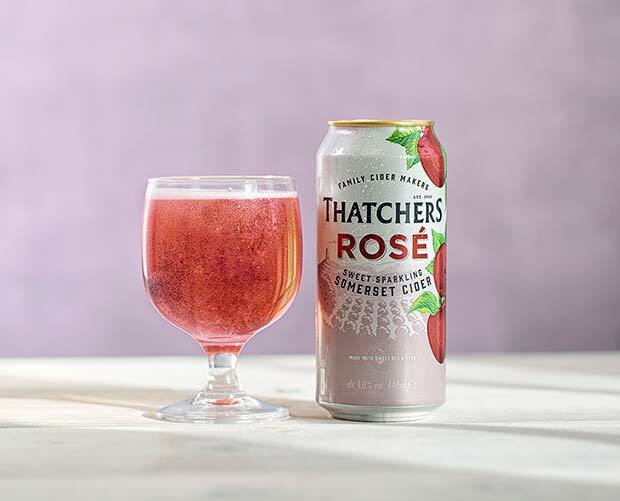 Thatchers Cider is continuing to make its mark on the apple cider category with the introduction of all-new Thatchers Rosé Cider. Using a blend of naturally sweet, rosy-red dessert apples, including Pink Lady, Fuji and Gala, Thatchers Rosé is a deliciously sparkling Somerset Cider bursting with fruity apple flavour. Thatchers produced the market’s first rosé cider almost ten years ago.